Local Chief Wahoo supporters of a non-alt-right stripe might be uncomfortable to learn that the racist caricature they hold so dear, the image that they say is inextricable from Cleveland's civic identity and soul, has been co-opted by the likes of InfoWars. That's the Alex Jones website and radio outfit known principally for conspiratorial hate-mongering and repeated claims that the Sandy Hook massacre was a hoax. 'Kent State Gun Girl' Kaitlin Bennett is a correspondent for the show, to give you an idea of its seriousness. Wednesday, armed with InfoWars mic and what she called "facts," Bennett prowled the perimeter of Progressive Field to interview Cleveland Indians fans about Chief Wahoo on the occasion of its official retirement. As local fans know, reports of Chief Wahoo's death have been greatly exaggerated. MLB commissioner Rob Manfred made Cleveland's 2019 All-Star Game bid contingent on the logo's removal from team caps and jerseys. But Wahoo gear is still sold in the team shop and it smiles from team Tweets, Fox Sports Ohio commercials and private signage across town. Among other things, a "Keep the Chief" campaign has been merchandised by a local t-shirt company, (whose apparel is "not meant to offend anyone.") The logo is everywhere, year round, and many fans revel in what they like to interpret as its defiant display. This defiance is sometimes expressly linked to the anti-political correctness of Donald Trump. Bennett's "facts" pointed in this direction, too. To her, this year's Wahoo development signified the conquest of lefty millennials over "white, God-fearing Caucasians." The above interviews contain little of value. 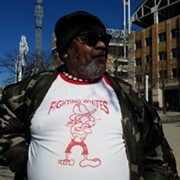 But they do expose, quite by accident, the partisan vapidity and racism of Chief Wahoo support. Those interested in examining their support honestly are likely to discover that the very same logic they use to defend the logo — or at least some of the logic evidenced above, which is typical — is identical to the logic used by defenders of the Confederate Flag. For Wahoo supporters, just like Confederate Flag supporters, it's about "heritage, not hate." "We're at Progressive Field," Bennett says, setting the stage, "where ironically, progressives have chased Chief Wahoo out of the stadium, out of the Cleveland Indians baseball team." She proceeds to accost anyone she can find. Unlike Monday's sold-out home opener, the Wednesday afternoon crowd is sparse, and a few folks have no interest in speaking to her on the subject. But the interviews she does conduct illustrate various ways in which Wahoo can be, and has been, weaponized. Asking unprepared Northeast Ohioans to expound upon themes like "tradition" and "political correctness" in this context is an easy way to foment antipathy. Some folks express disagreement with the decision to remove the logo, but resignation at the prevailing sensitivities of the world. One guy is asked whether the taking down of Confederate statues is okay with him — taking down statues is also a gross infringement on "tradition" in Bennett's view — and he says no, but recognizes that he "[doesn't] exactly have the say-so" about whether they come down. That's a step in the right direction. But Bennett routinely goads her subjects, asking humdingers on the order of: "What's going on in today's society where millennials can go out and scream in the streets, and then a whole entire baseball team just changes tradition?" In one perfect soundbite, a fan actually says: "The minority should not be running the majority." It's no surprise that Bennett and her ilk view Chief Wahoo's demise as a thread in the grander fabric of an impending race war. And while it's crucial to discuss issues like this with those who disagree with us, it's dicey to do so with someone like Bennett — it's honestly not even worth mocking her — because she's so gleeful in her stupidity and so thirsty for meaningless confrontation. In her one interview with a Native woman, she doesn't even listen to the sincerely expressed ambivalence about the logo. For Bennett, it's all about scoring cheap points. The woman, who identifies herself as Native, says, "I get that [Chief Wahoo] is honoring [Sockalexis]. I get it. The first Native baseball player. I get it. But there are ways of honoring people without offending people. My skin is not red. I am not red. I'm brown." And Bennett responds to this generous explanation with scripted mindless glibness: "Well, I'm so sorry that your feelings are hurt." It's difficult to discuss issues like Chief Wahoo with InfoWars zealots too, because they're on such a lunatic fringe. But to reiterate: the Venn Diagram of Chief Wahoo supporters and unhinged Alex Jones zealots (or even garden variety Trump supporters!) is not even close to a circle. And it's important to keep hashing out this issue and the implications of Chief Wahoo support for those skeptical of casting their lot with these unsavory characters. This is not just beating a dead horse. Despite Manfred's mandate and Wahoo's official departure, the logo is still everywhere. The issue is not dead. This is the standard Confederate Flag defense. It's a conflation of systemic racism with individual racism. To deny the latter is not to dismantle the former. Bennett hammers this point home repeatedly by asking all of her subjects whether or not they, personally, have any hatred for Native Americans. Of course not! they all reply. "Hell no!" one shouts, confident that she is now fully absolved. Some claim even to be especially sensitive to the plight of Natives. "I use to live in an area that was highly populated by Native Americans," one woman says, "and I treasure their history." Much in the way, no doubt, that some wavers of the Confederate Flag treasure the history of African-Americans, or have black friends. It's important to be clear about the distinctions. While the defenses of these two "traditions" are in some cases indistinguishable, there is one major difference between the traditions themselves: One of them (Chief Wahoo) is an explicitly racist image, while the other (the Confederate Flag) is a racist symbol. Someone unfamiliar with American history or current white supremacist symbology would not, by looking at the Confederate Flag, immediately recognize that the flag is racist. It stands for something racist. Chief Wahoo, on the other hand, was meant to be a symbol of joy. It doesn't stand for hate. 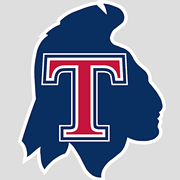 It stands for a baseball team. But the image itself is strikingly racist, created during a time when "white supremacy was just pop-culture in the U.S." and modified over the years. That local fans refuse to acknowledge this history is the height of self-absorption, though sadly consistent with American treatment of indigenous peoples. Indeed, when local fans talk about "honoring history," they're talking about honoring the history and legacy of the team, not the atrocious American history that included the slaughter and forced relocation of millions of human beings. Part of what I mean when I say "partisan vapidity" is that beyond personal emotional attachment, there is no justification for Chief Wahoo support. None. But supporters have chosen their side — this is a fiercely partisan issue — and now cling to it with defenses that make one's head spin. "[Chief Wahoo] is the mascot of the Indians," one fan tells Bennett, "and that's why he should be here." These tautologies don't mean anything, other than: I like the cartoon that's on the products I've purchased over many years. And I don't like feeling bad about owning them and wearing them. Counterpoint: Chief Wahoo is racist, pure and simple. That doesn't mean your dad is a racist, or that your grandma is burning in hell because she was wearing a Wahoo broach in the casket, or that you personally hate Native Americans. What it does mean — this is not complicated — is that the image is a grotesque caricature of a race of people, a race that, because of their virtual extermination, now has almost zero political or economic power to defend themselves from their ongoing dehumanization. Local Native American organizations and their allies have nevertheless been protesting Chief Wahoo and the Cleveland Indians organization for more than 40 years on opening day, enduring verbal abuse from fans every year. Meanwhile, local fans elevate their individual histories and associations with the team. Look at this comment from an article about Chief Wahoo in 2014, which is emblematic. This is a wholly sincere, wholly barbaric, comment. And sentiments like this are still the norm in Northeast Ohio. They must be called out. Imagine this exact same paragraph describing black people, about "adapting" the courage and fleet-footedness of escaping slaves, for example. "To them I apologize but ask no forgiveness." This is not adaptation, but appropriation, (an overused word that nevertheless describes, perhaps more accurately than any other single word, the Native American experience.) It is outrageous that this sort of rhetoric isn't decried by all thinking people, in the same way that we would decry language defending the exploitation and appropriation of former slaves or descendants of Holocaust victims. Conveniently unmentioned in this comment, by the way, is what and whom Indians were fighting as they fought for their lives. The answer, of course, is American settlers, who nearly wiped them from the continent as they ruthlessly colonized an ever-expanding frontier. It's precisely because so few object — because so few are left — that those who remain must be defended and supported at all costs. The appropriation of Native imagery and culture, to say nothing of the appropriation of Native lands, must be strenuously opposed until there is broader recognition of the damage wrought. This heritage must not be honored. In the first place, it must be understood. And then it must be atoned for.